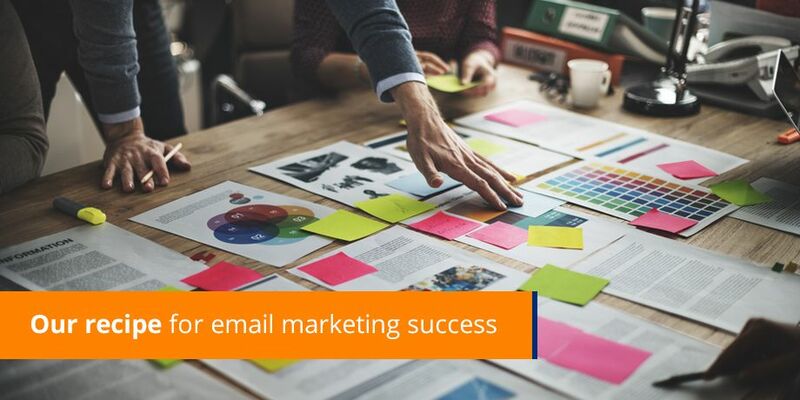 Achieving success in email marketing can be a challenge, whether you’re just starting out, only now considered adding email to your digital marketing mix or consider yourself a veteran of this channel. 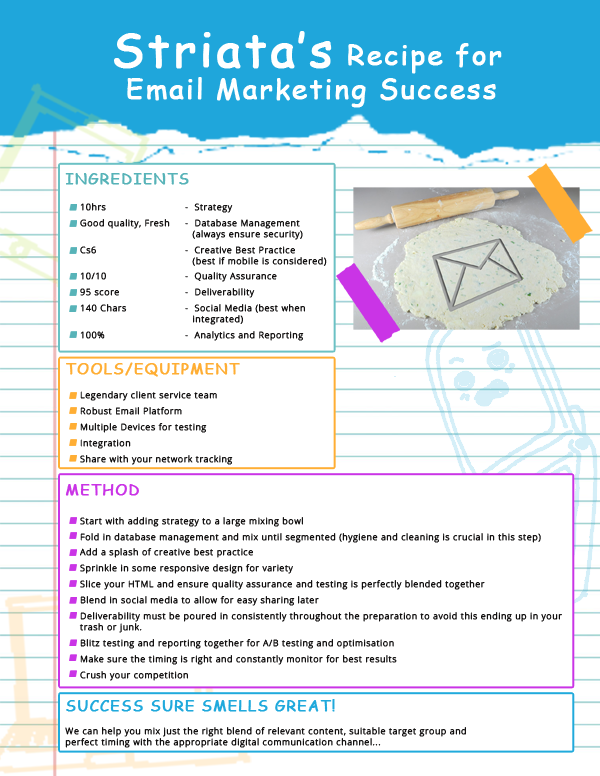 In this edition of eMarketing Insight, we want to hand down our recipe for email marketing success to you. Remember, you don’t have to be an amazing cook – anyone can follow a recipe! In April 2014 Striata sent 8 909 232 eMarketing emails! April was not a slow month at Striata, even though it was interrupted by so many public holidays, just short of 9 million emails were sent ! All Striata emails are optimized for mobile too – I guess that explains why you saw so many people checking their mobile devices while soaking up the sun these past holidays!